Welcome to the in10sity Blog! In10sity specializes in creating website, software, and marketing solutions for major brands across the globe. We will use this blog to keep you in the know as we unveil digital marketing trends, Geek Speak breakdowns, informational white papers, and special promotions. We welcome your feedback and look forward to interacting with you here! Impress all your co-workers and friends with your digi-savvy knowledge! Simply join our mailing list by entering your email address in the blue block to the right and you'll get the skinny each time a new post is ready! Getting “networked” when launching a new website happens to the best of us, but no more! We’re here to help with a hosting terms guide that will make launching your next website feel like second nature. Move over mobile responsive design! 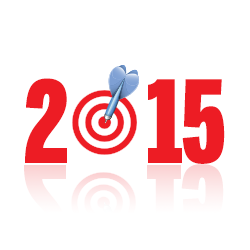 We are ready to share some new and exciting web trends that you’ll be seeing more of in 2016. If your organization is still using Windows XP and Internet Explorer 8, you just might be on the naughty list. Starting January 12, 2016, Microsoft will only be supporting certain newer operating system and Internet Explorer browser combinations. Here at In10sity we are thankful for our many blessings, may it be wonderful customers, easy to use content management systems, anything pumpkin flavored...and even amazing free online tools. Being the kindhearted group we are, we want to share some of our favorite online tools. Following up from last month's post about cyber security, we want to share additional information regarding Zombie Viruses, which aren't just here to haunt us for Halloween! 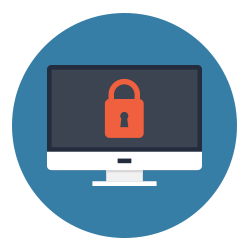 So many organizations never even consider their website’s security weaknesses. Much of the reason why is because they aren’t thinking like a hacker. In 5 easy steps, we’ll teach you how to think like a hacker and prepare for the day your site comes under attack! Get the facts before deciding to participate in the "not com" domain movement! 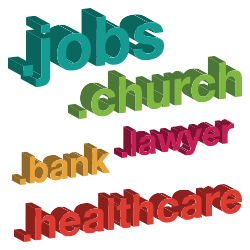 This article is for everybody...even those who aren't yet sure what a top level domain is. If you’re just hearing about net neutrality or still trying to make sense of it all, we are here for you! While you may have already given up on your personal resolutions this year, know that there is still a lot of hope for whipping your website into shape! Maybe you're a self-motivator or maybe you need a personal trainer. Take a look at our quick list of web solutions and decide for yourself! With Halloween just around the corner, ghost buttons are the perfect Geek Speak topic! 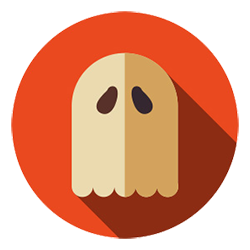 Unlike the ghosts and goblins out this month, ghost buttons are a year round web trend. They are minimal and stylish with subtle hover animation. They are often found paired with the trend of large background images and videos.